I have been asked from time to time if the landscape at a home is poisonous for their pets. You would be surprised to know there are many popular plants in Gainesville, Florida that are extremely dangerous for cats and dogs. I am going to tell you about a few that are quite popular in our area that are extremely dangerous, so you can ensure the safety of your pet. 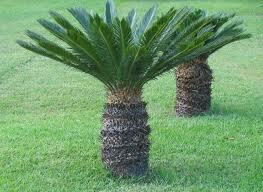 The Sago Palm is part of the Cycads family. This ornamental plant is quite popular for our area due to its heartiness, and the fact it requires minimal maintenance. What many people do not know sago-palmis that this plant can cause major issues if ingested by your cat or dog. If your pet does ingest a part of this plant it could cause liver failure which could result in death. All parts of the plant are toxic, especially the seeds which has the largest concentration of toxin. Just one seed could cause serious illness or death. Symptoms include vomiting that usually begins within 24 hours, your pet may become depressed, and even seizures could begin to occur. This is one of the most toxic plants around for your pet, and has a fatality rate of about 30%. If you leave your pet outdoors, it would be wise to avoid any Sago Palms for your landscaping plan. 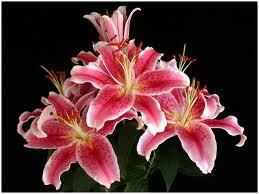 Lilies have been known to cause kidney failure in cats. Just a minute amount of exposure such as a few bites on a leaf, ingestion of pollen, or other small particles could cause damage to the kidneylilies causing it to fail. Cats tend to regurgitate within a few hours of digestion, and could stop producing urine within 72hours. If you are able to get treatment in a timely manner your vet should be able to give the necessary fluids for about 2 days, and the prognosis is usually good. This includes Amaryllis plants as well which are very similar to lilies that are used as accent plants can add great color to your landscape in the spring. 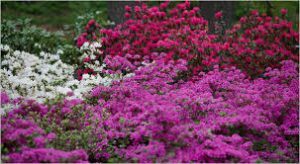 Azaleas can cause cardiac arrest and vomiting if digested by your pet. This is another plant that is common for our area since it adds azaleascolor to you landscape with minimal maintenance, and can handle various light requirements. Unfortunately, this can be toxic to some of our furry family members. These plants are typically found outdoors. Any plant that is in the Rhododendron species can cause these issues to your pets. So be couscous when on walks or if you allow your pets to go outside. Be sure to contact your veterinarian as soon as possible if you know your pet has ingested any of these toxic plants or are seeing any symptoms. The sooner you are able to get them seen the better your chances for getting a good prognosis. If you have any specific questions regarding the plans and landscaping on your property, please give us a call at (352) 505-3411 as we would be happy to assist you.